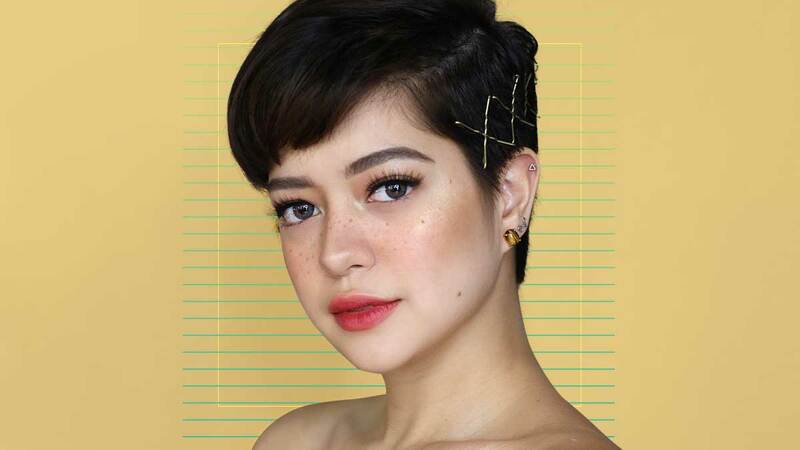 Sue Ramirez's pixie cut has made headlines, and our girl is surely having the time of her life styling her super short 'do! Take a look at our list below, and maybe you'll be inspired to get the same drastic cut soon. For an off-duty look or on tamad days, simply put on a hat! Flaunt your fresh trim by keeping your neck and shoulders bare. Not a fan of hair accessories? Accentuate with big earrings. Short hair gives you the perfect opportunity to try statement accessories. Here, Sue channeled the '90s and wore butterfly clips. And then, she created patterns using gold hair clips. A very cool girl move, indeed. Going for something glam? Focus the volume on the crown to create a pompadour. You can apply glitter gel for good measure!